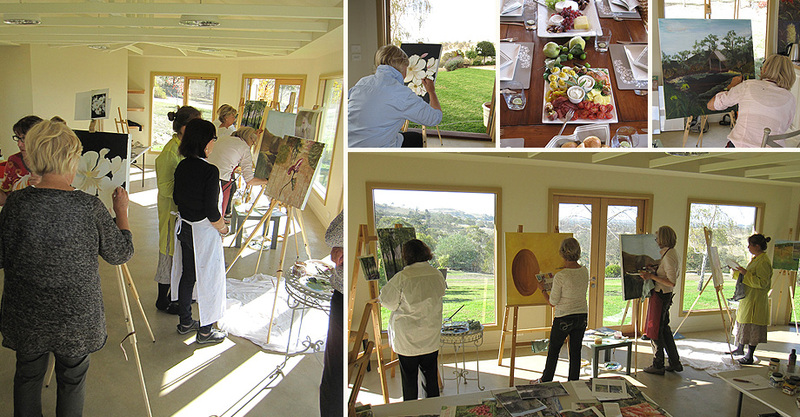 With its new sunlit studio and stunning outdoor settings Mica Grange offers the perfect setting for art and craft workshops and exhibitions. Mary has run many classes utilising her creative talents across food decoration/presentation, floral and wedding arrangements and Christmas decorations. The Mica Grange Studio is also open to art and craft specialists wishing to run their own exhibitions or work shops and seeking a special location to present their creations.